Following the release of last year’s excellent Blush EP (read our review), and singles “Fluffy / White Leather” (read our review) and “Bros / Every Cloud” (read our review), the hotly-tipped North London rock quartet Wolf Alice have just shared a brand new track entitled Moaning Lisa Smile. The new track is the first taste from the band’s upcoming EP, Creature Songs, set for release on 26 May. Produced by Catherine Marks (Howling Bells, Foals) and recorded at ICP studios in Belgium, per the press release, the new EP is said to herald an unmistakable step forward in the band’s songwriting. To date, Wolf Alice have showcased two very distinct styles or moods: there is the graceful and gorgeous tracks like White Leather and Bros, then there’s the balls-to-the-wall, snarling rawk of Fluffy and She. Moaning Lisa Smile, which is the upcoming EP’s opening track, falls into the latter. The new track – a live favourite of fans – is the grittiest we’ve heard the quartet to date. On Moaning Lisa Smile, Wolf Alice channel The Breeders to create a glorious, deafening but ever so melodic racket. The track’s face-melting guitars are balanced out by Ellie’s sugary vocal melodies and pop hooks as if to lure the listener in with its sweetness only to then punch them in the face. 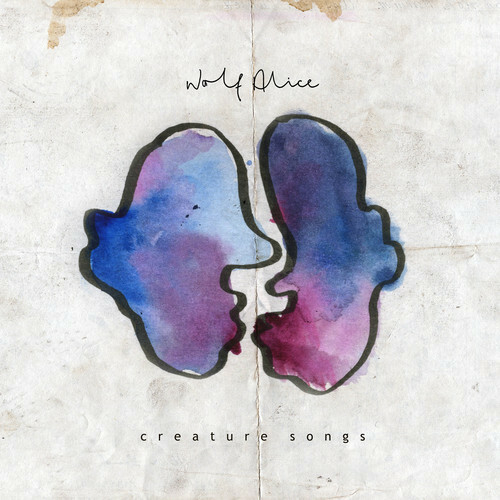 2014 has already seen Wolf Alice named one of iTunes’ ‘Artists For 2014’ as well as being touted by the likes of NME (Young Britannia – Future Of British Music), XFM (Great X-pectations) and Hype Machine (Ones To Watch) as one of the hottest prospects of the year ahead.